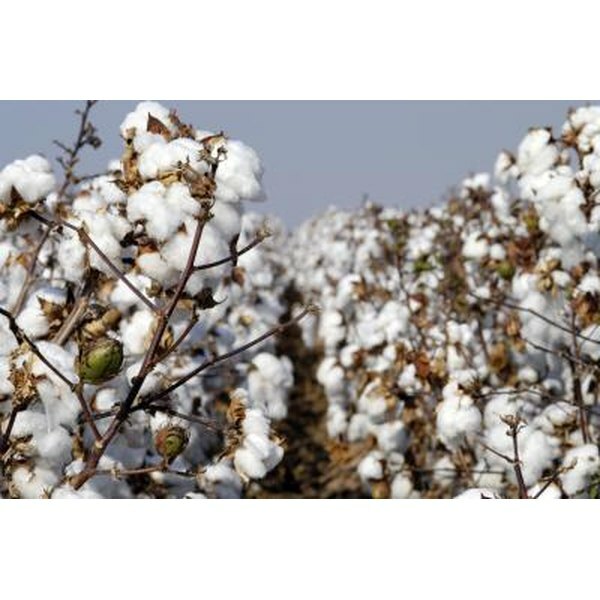 Cotton is a natural fiber used in the textile industry. 4 How Is Silk Made Into Fabric? Cotton is a natural fiber that's fundamental to the textile industry because it is so versatile. It is absorbent, resistant to high temperatures and can be dyed easily. Different manufacturing methods can alter the appearance and texture of the fabric. Harvested cotton fiber is taken to mills, spun into yarn and made ready for fabric manufacturing. Cotton fabric comes in three types: knitted, woven and non-woven. A loom and shuttle weave yarn into a piece of fabric. Yarn that is strung vertically on the loom is the warp. The yarn that passes in and out horizontally using the shuttle is the weft. Machines mimic this action to produce large sheets of fabric in a short period. Cotton weaves come in three types: plain, twill and satin. Plain weave fabric is made by taking the weft and threading it over and under each warp. Gingham and chambray are produced that way. 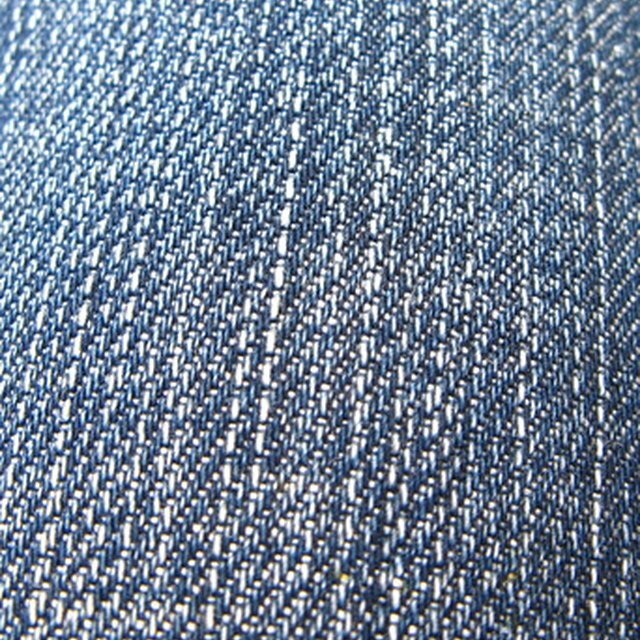 Twill weave is made by weaving the yarns to form a raised, diagonal pattern. This fabric is strong and sturdy. Denim, gabardine and herringbone are produced that way. Satin weave is made using less yarn, leaving only the warp or the weft to stand out on one side of the fabric. The fabric is smooth, with a shiny surface on one side and a matte surface on the other like cotton sateen. Knitted cotton is made by machines with needles that grasp the yarn to create a series of stitches that form the fabric. Cotton fabric made using this method is soft and stretchable and is used for T-shirts. Non-woven cotton fabric such as felt is created using chemicals or heat to hold the fibers together. This method is used to create cotton pads, bandages, diapers and filters. Tera Avila has been a professional writer since 2002. She has written for "Para Mi" magazine, among other publications. Avila holds a Bachelor of Arts in English writing and rhetoric from St. Edward's University.